Hosting Power specialises in accommodation for international students in Ireland. We have been operating in Ireland since 2014 and we take great pride in helping students every day. We take your accommodation needs seriously, that is why we personally inspect all our rooms. All our rooms are private, include WiFi and bills, and are ideally located. Your journey starts with indicating your Check In and Check Out dates, Book Your Room Now. 1. 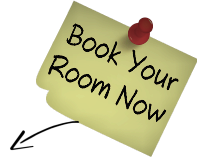 Input your arrival and departure dates and select the room of your choice. 2. Fill in your contact details, write a detailed self description and upload your ID. 3. Secure your booking by paying the service fee. But don't worry, you won’t be charged until your host accepts your request. We inspect all our properties, so that you can have peace of mind when you book. When you book with us, you get your own private room and you only pay your first weekly rent on the day of your Check In, and not before. All bills and WiFi are included in the rent, and you have free use of the kitchen and laundry facilities. Also, all our properties are ideally located within walking distance to public transport, school and city center. We are available for you for the entire duration of your stay. You can contact us for any questions you have or if you need any support. I'm missing Dublin indeed, but that's the price you have to pay for having a good time abroad I guess. I have recently returned to Dublin to stay here long-term, so my experience was a very good one.